Today I checked out Four Peaks Pitchfork Pale Ale. 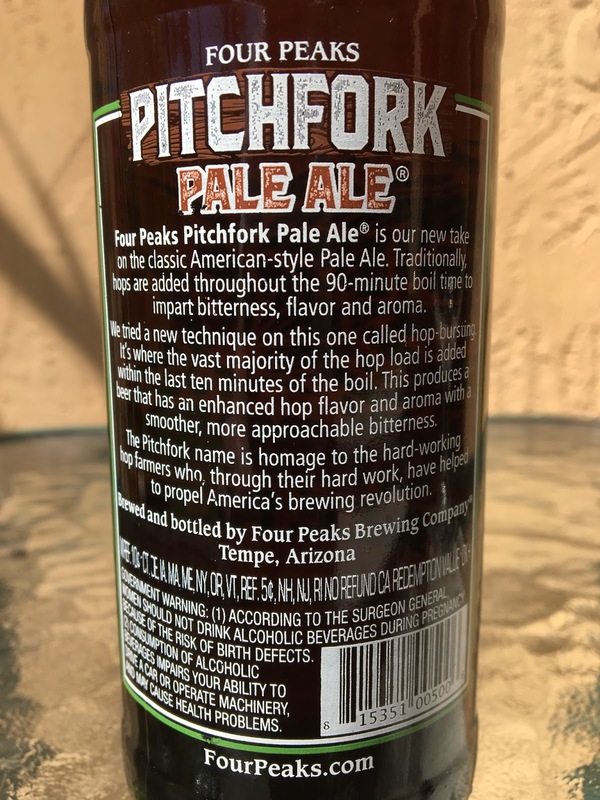 The Pitchfork part of the beer is named for hop farmers. In addition, the brewery used the "Hop Bursting" technique where most of the hops are added in the last 10 minutes of the boil to enhance aroma and flavor. 6.2% alcohol. 30 IBU. Very pleasant aroma full of citrus, pine and bright orange. Orange citrus flavors come first. Some pine, very juicy, nicely bitter. There is a bite and dry astringency at the finish. You get the impression that there may be some sweetness, but it never happens. Rather the opposite, a pretty good dose of hoppy goodness. Pretty good. 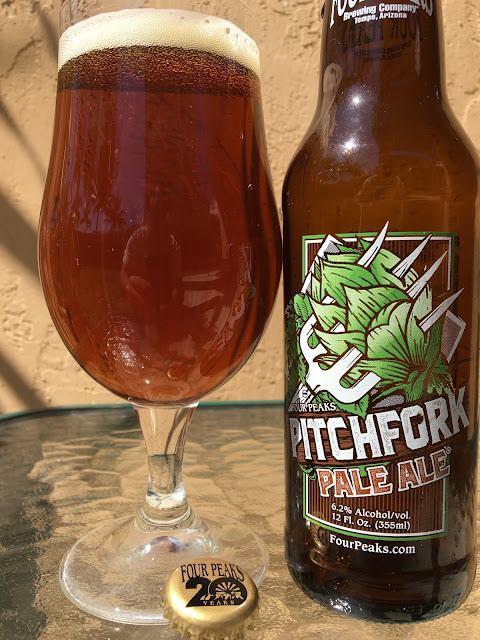 More IPA than Pale Ale considering body and alcohol and actual bitter flavors.